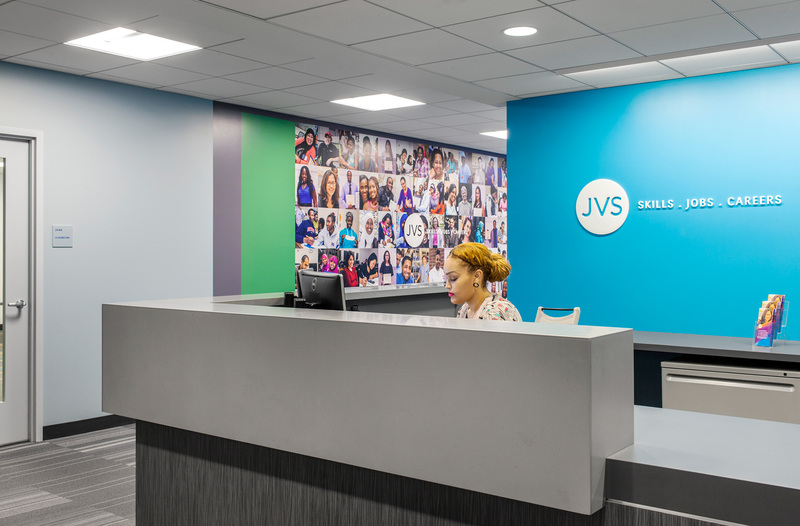 Jewish Vocational Service (JVS) is on a mission to help individuals find employment and build careers. 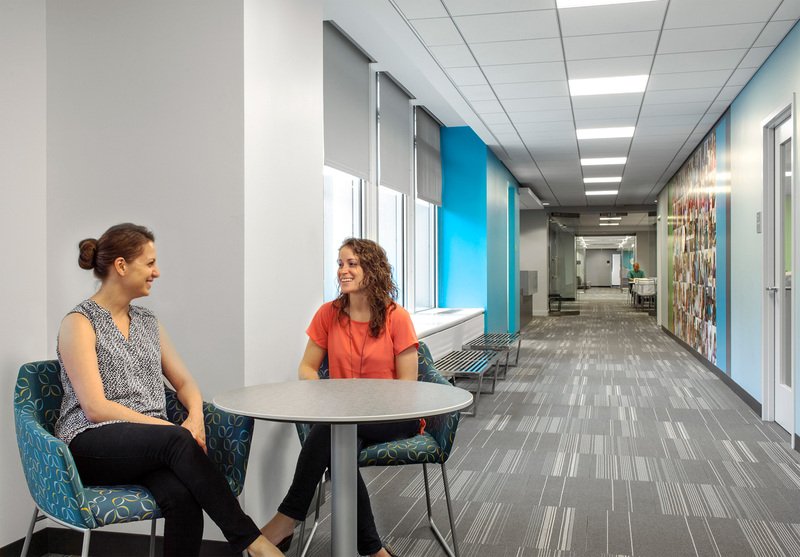 After reaching the end of their lease they were looking to design a new 48,000 SF corporate office environment to inspire and encourage their clients to envision themselves working in a similar office environment after their graduation. 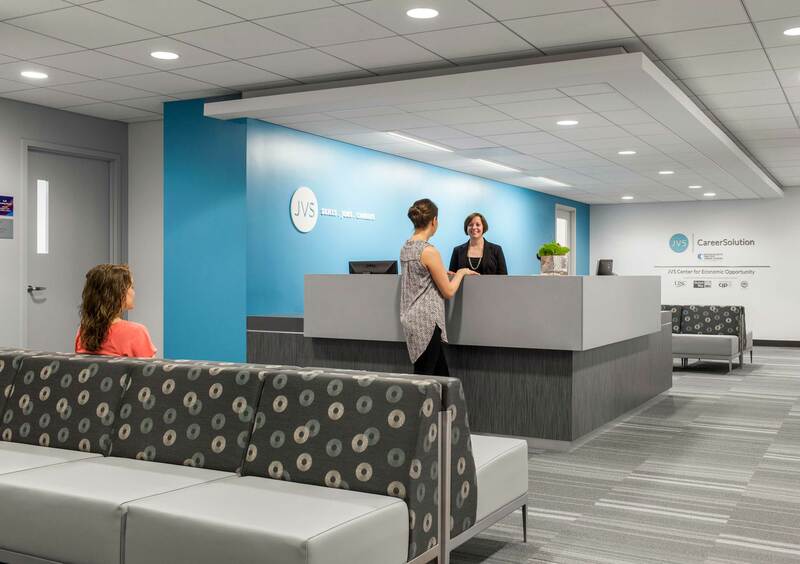 Located in the heart of downtown Boston, the new headquarters was designed in conjunction with a re-branding initiative. 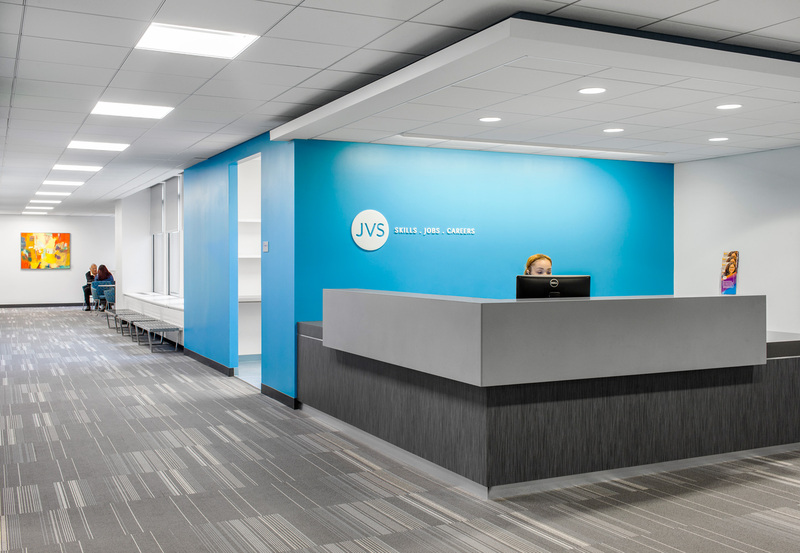 While constrained by budget and schedule, the design team was able to utilize the direction of the re-brand and translate that into some bold environmental moves. Large blocks of color and graphics embolden the brand message clearly and effectively. 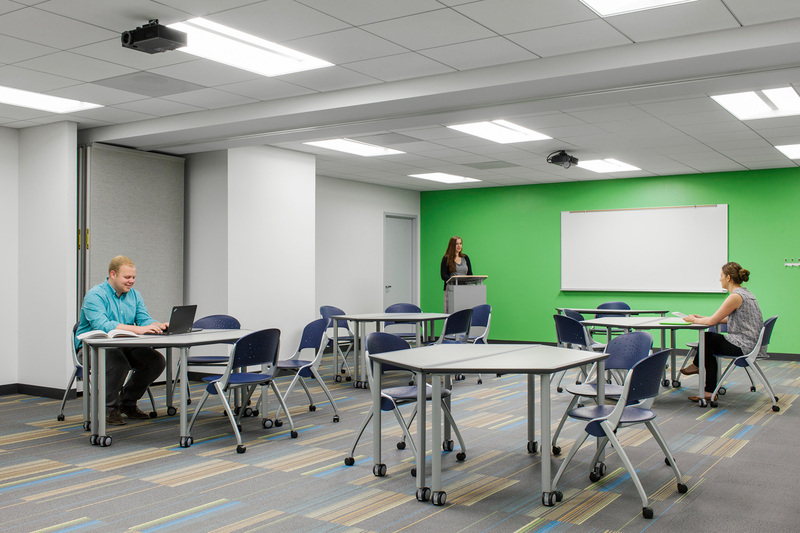 To further emphasize the mission of accessibility and partnership, glass partitions provide transparency and are used to allow natural light to travel further into key spaces.